Nick Kyrgios began brightly but couldn't stop the surge of three-time Grand Slam champion Stan Wawrinka, who won their first-round match at the Toronto Masters on Tuesday. Nick Kyrgios has lost to former world No.3 Stan Wawrinka in the opening round of the Canadian Open in Toronto. 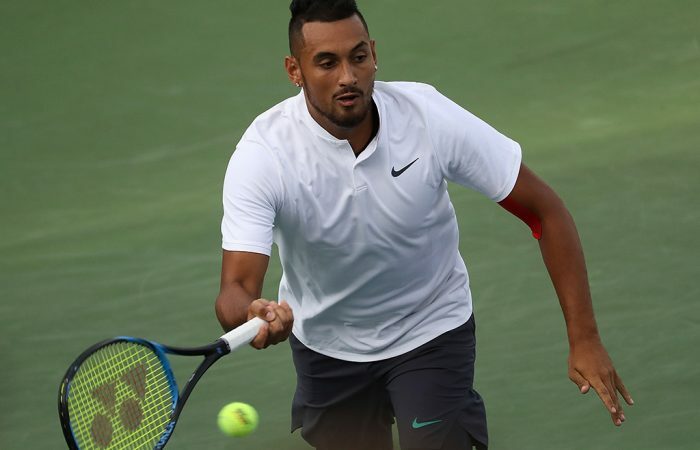 Kyrgios, who last week withdrew from the Citi Open in Washington DC due to an ongoing injury, raced to take the opener but was on the wrong end of the two tough sets that followed, losing 1-6 7-5 7-5. 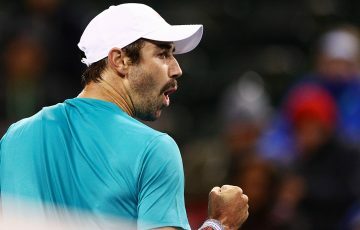 The world No.17 showed glimpses of his best, however, unleashing a brutal forehand winner that even three-time Grand Slam champion Wawrinka applauded. “What can you say?” Sky Sports commentator Mark Petchey said. It was one of 44 winners Kyrgios struck to Wawrinka’s 35. The Swiss had 23 unforced errors to Kyrgios’ 34. Kyrgios had two break points in the third game of the third set, but couldn’t convert. 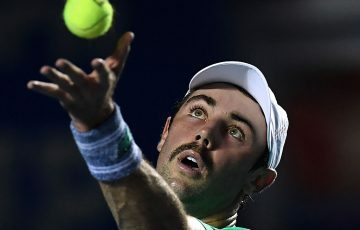 He was broken in the 12th game of both the second and third sets to surrender both. 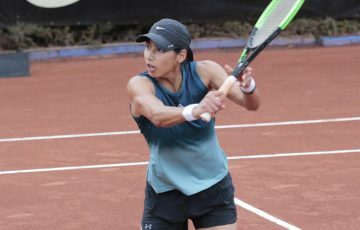 The Australian said his hip injury was still an issue but that he would play doubles with Ivan Dodig later on Tuesday. Wawrinka will face Marton Fucsovics in the second round with a possible clash with Rafael Nadal looming after that match. Wimbledon champion Novak Djokovic, whose original opponent Hyeon Chung withdrew with a back injury, was too good for Bosnian lucky loser Mirza Basic, winning 6-3 7-6(3). Elsewhere there were wins for Milos Raonic, Karen Khachanov, Fabio Fognini and Sam Querrey.